The War, Reconstruction, and the new status of the South as a conquered colony of the industrial North created something historians call the “New South.” The term suggests a radical break with the past. Ralph Waldo Emerson and other Northern elites hoped to transform the South through Yankee immigration, technology, ideas, and money into a Southern version of New England. Southerners struggled with great changes in labor and capital, race relations, manners, religion, education, and with a new vision of America that repudiated their understanding of the Founding. This forced upon them the existential question: “Who are we?” Join us for a thoughtful discussion of the ways Southerners engaged this “New South” challenge. St. Christopher Conference Center on the beach of beautiful Seabrook Island, SC. We will spend Wednesday visiting historic sights in Charleston. Cost for tuition, room, meals and continuous refreshments for five days is $1,046 (single) and $1,792 (double). Scholarships are available for college and graduate students who are encouraged to apply. Please contact Dr. Livingston either by phone or email to register or for more information. 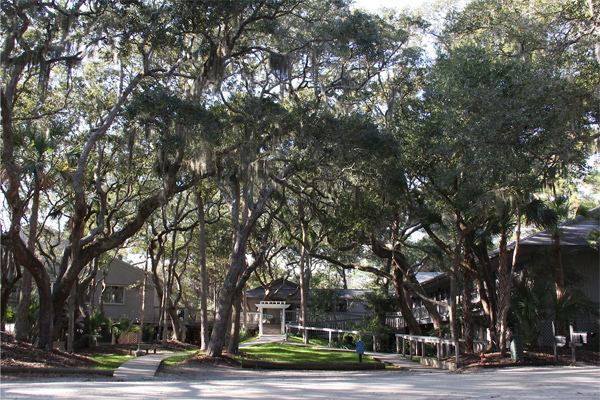 Should space at the conference center be filled, rooms are available at a short distance on Seabrook and Kiawah Islands. In that case, the cost for tuition and meals for a double is $1,292 and $646 for a single. Tuition alone (with banquet on Wednesday in Charleston) is $460. Simply “Google “Pelican Watch Seabrook Island” which is next to the conference site.